Day 1: Spend 8 hrs. shopping around town with Dad for a used car. 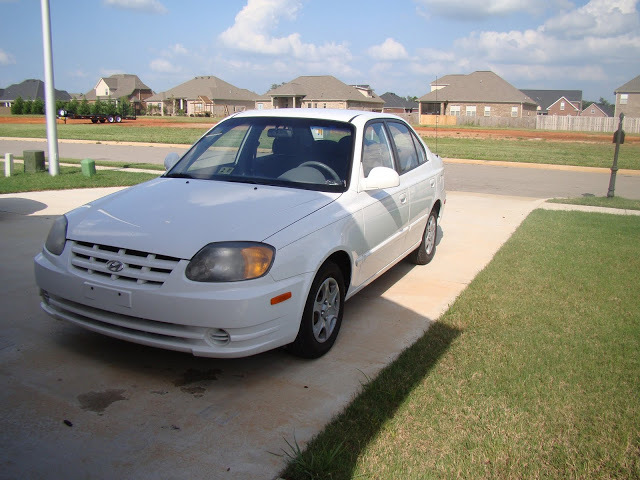 Buy great car with all the extras and 170,000 miles. Arrive home with new car; watch engine light come on. Week 1: Spend close to $1,000 on repairs and new tires. Week 2: Have fancy car stereo put in. Thank God that no one was hurt. 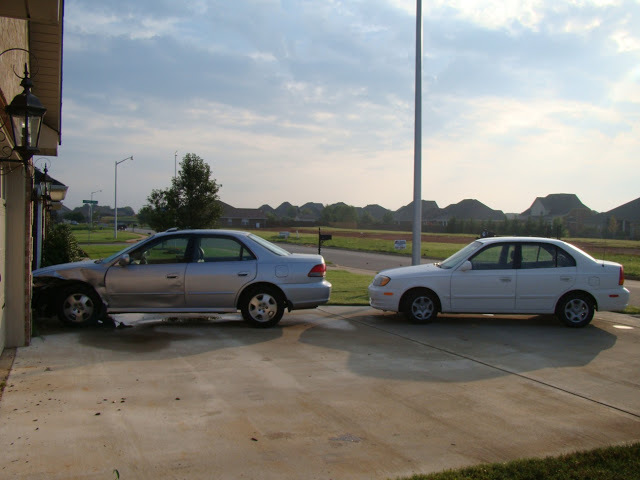 Wait for the police and tow truck; fill out reports; deal with insurance. Get an awesome raise at work for being such a wonderful employee. 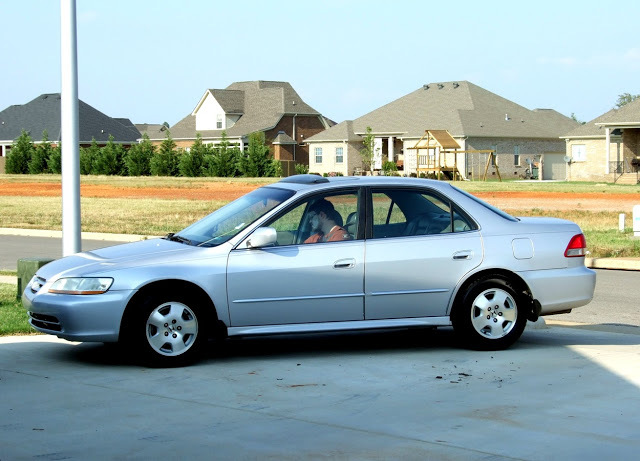 Week 4: Shop with Dad for another used car. Find a newer car with fewer miles and fewer gadgets. 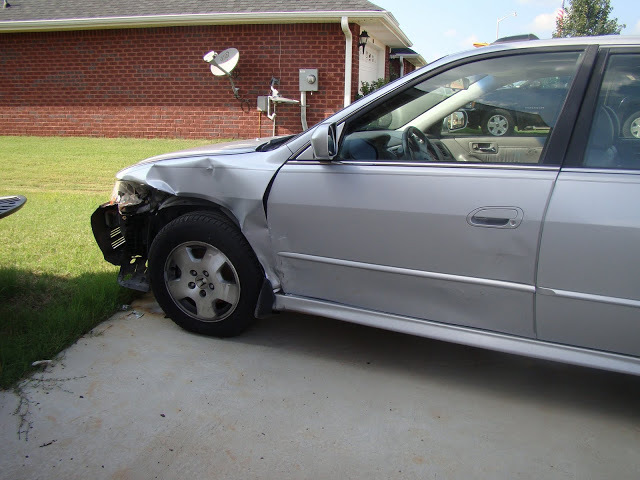 Hope that the title for your totaled car comes in soon so you can sell it to the junk yard. that she better mention that she totaled her mom’s car when she was his age. I'm pretty sure you already apologized for that. There's nothing scarier that getting that call from a loved one. I knew when the phone rang that day that something was wrong. We're just happy everyone is OK. James will be telling his grandchildren about this someday.